Lille and Monaco face at Stade Pierre‑Mauroy, in a match for the 29th round of the Ligue 1. In the last head‑to‑head for this edition of the league, played on 18‑08‑2018, these teams have tied (0‑0). The head‑to‑head record at this stadium favours the away team, since in the last 4 head‑to‑heads they won 3 and lost 1. Accordingly, in the last head‑to‑head played at this stadium, for the Ligue 1, on 22‑09‑2017, Monaco won by (0‑4). S. Jovetić (24' ), R. Ghezzal (30' ) and R. Falcao (48' and 73' ) scored the goals of the match for Monaco. After 17 wins, 6 draws and 5 losses, the home team is in the 2nd position, havinf won 57 points so far. In the last match, they have won in an away match against Saint‑Étienne by (0‑1), after in the previous match they have won (1‑0) at home, against Dijon. 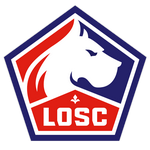 In the last 10 home league matches Lille has a record of 5 wins, 4 draws and 1 loss, so they have won 19 points out of 30 possible. In their home league matches the most frequent result at half‑time was the 0‑0 (6 out of 14 matches). Their offense has scored consistently, as they have scored goals in 9 of the last 10 matches for this competition. In 28 matches for this competition, they have conceded the first goal 7 times and have only turned the score around in 2. Lille come to this round motivated after a 0-1 victory at Saint-Étienne: Pépé, in the 87th minute, scored the only goal of the match. The home club often play in a 4-4-2 tactical system, favoring a more offensive style of play. Lille are a team that opt to use a style of game in ball possession, advancing in the field through short passes, and usually use the central aisle to invest in the offensive process. For this game the home coach should not be able to rely on Pied, Zekaj and Bahlouli for being injured. Confirmed Lineup: M. Maignan, Y. Koné, José Fonte, Gabriel, M. Çelik, Xeka, Thiago Mendes, J. Ikoné, N. Pépé, J. Bamba, Rafael Leão. The away team is currently in the 17th position of the league, with 27 points won, after 6 wins, 9 draws and 13 losses. In the penultimate match, they tied in an away match against Angers, by (2‑2). In the last match, they tied in a home match against Bordeaux, by (1‑1). In the last 10 away league matches Monaco has a record of 2 wins, 3 draws and 5 losses, so they have won 9 points out of 30 possible. Defensive consistency hasn’t been their best feature, as they have conceded goals in 8 of the last 10 matches, but their offense has scored consistently, as they have scored goals in 9 of the last 10 matches for this competition. In 28 matches for this competition, they have conceded the first goal 16 times and have never been able to turn the score around. In the last 13 away matches for this competition there is 1 period that stands out: they have scored 6 of their 14 goals between minutes (76'‑90'). Monaco come to this match after a 1-1 home draw against Bordeaux. The away team should play in a 4-3-3 tactical system, favoring a more organized style of play, with the three most advanced men being Gelson Martins, Falcao and Rony Lopes. 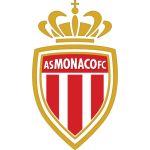 One of the main weaknesses of Monaco is how they can not react to a disadvantage, and usually do not give a good answer. The manager should not be able to count on N'Koudou, Jovetic, Isidor, Geubbels and Jordi Mboula for being injured. Confirmed Lineup: D. Subašić, D. Sidibé, K. Glik, Jemerson, Rony Lopes, J. Aholou, A. Golovin, Carlos, F. Ballo, Adrien Silva, Gelson Martins. The most likely scenario for this clash will be for both teams to score at least one goal. It is expected a match controlled by the hosts, however, Monaco have a good team, meaning they can also take a lot of danger to the Lille's defense. It should be noted that the last three Monaco's away games ended with a "Both To Score - Yes" market winner.